…..Two weeks into the New Year and everyone should be fully recovered from NYE. By now you’re in the beginning stages of keeping your New Years Resolutions which usually consist of getting in shape, getting better organized, and putting more money in the bank. Well we can help with one of those. 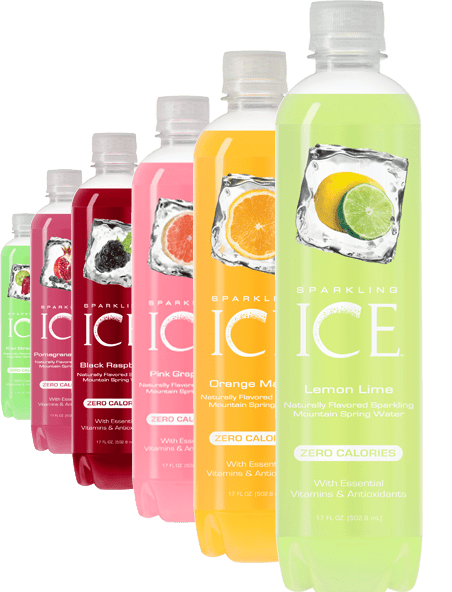 Below are some low calorie cocktail recipes featuring Sparkling Ice flavored waters which recently gained distribution in my area and are pretty tasty. Gluten free, Caffeine free, Zero Calories, and 6 flavors to choose from. Add ingredients together in a cocktail shaker. Shake an strain into a glass filled with crushed ice. Top with a Pineapple wedge. Combine your rums, pineapple juice and mango sparkling ice in a shaker. Shake and strain into a tall glass filled with ice. Top off with Grand Marnier . Garnish with a Orange peel. Simple one here. Combine your vodka and curacao in a a mixing glass. Pour into a rocks glass and top off with Mango sparkling ice. …..Along with the flavors included above they also offer Coconut-Pineapple, Pomegranate-berry, Lemonade, and Kiwi-Strawberry, all of which all work great with your spirit of choice (vodka?rum?gin?). For more recipes be sure to check them out at SparklingIce.com . For specific nutritional information feel free to visit their FAQ section. Not following us on Facebook yet? What are you waiting for. Till next time, cheers!